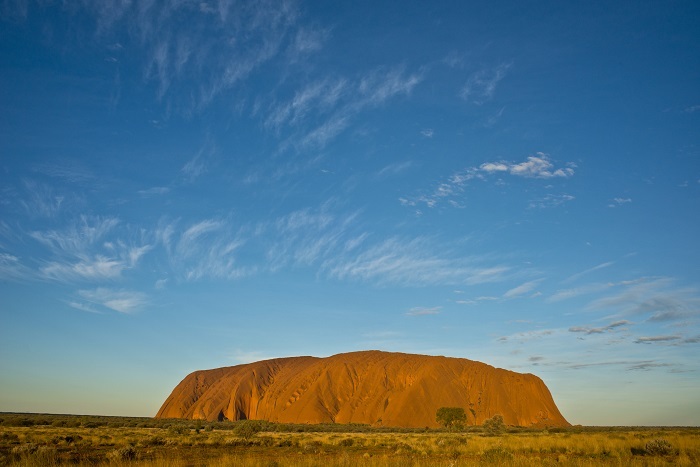 Uluru (also known as Ayers Rock) is Australia’s most recognizable landmark, and you’ll get to experience its towering beauty on this incredible 4-day adventure. 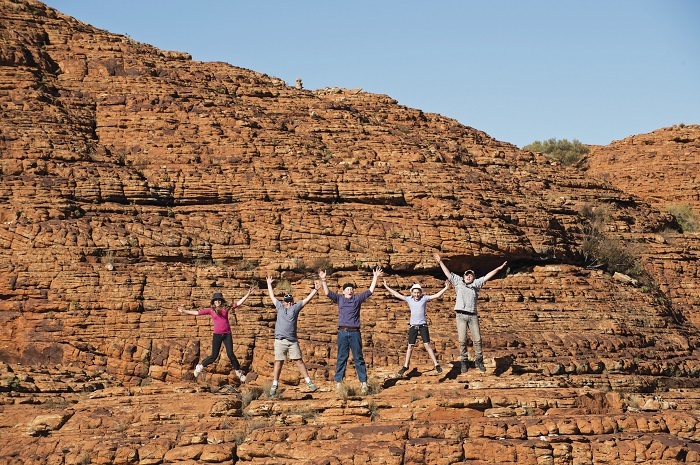 On one of our Ayers Rock Tours, we’ll take you through the heart of the Red Centre, exposing you to some of the country’s most unique landscapes and attractions, as well as the region’s fascinating cultural history. Please note: this tour is suitable for passengers aged 18 – 49 years. 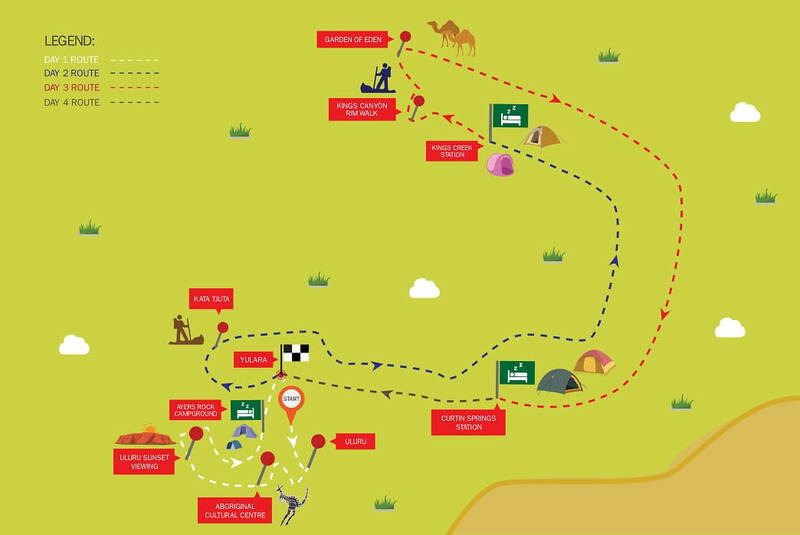 This is due to the hikes (up to 8 kms a day in the heat), the nature of the accommodation (swag camping) and the style of tour (catered to a younger crowd). If you are older and all of this sounds like fun you are welcome to join the tour, just have chat to us. Personal water bottle, Deet based mosquito repellent, hat, swimmers, towel, comfortable walking shoes, lightweight clothing, long sleeves & pants for night, day pack to carry all of these items, camera, medications you may require and a sleeping bag. Bring your own sleeping bag or hire one from us for $20 per person. Field of Light Upgrade: experience the magic of the art installation Field of Light by Bruce Munro on your 4 Day Uluru Tour – $43 per person. Upgrades are subject to availability, so please call us to check availability prior to booking. Day one begins at Ayers Rock Airport where we’ll pick you up. 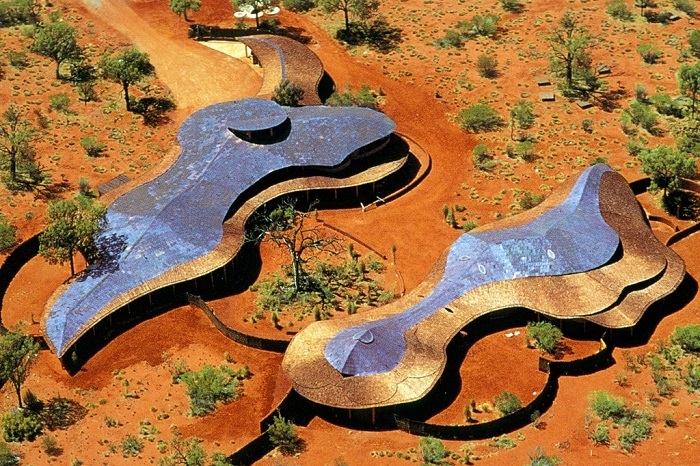 We’ll then move on to the Cultural Centre where we’ll stop for a bite to eat and provide you with details about the incredible wildlife and local Aboriginal heritage of the region. 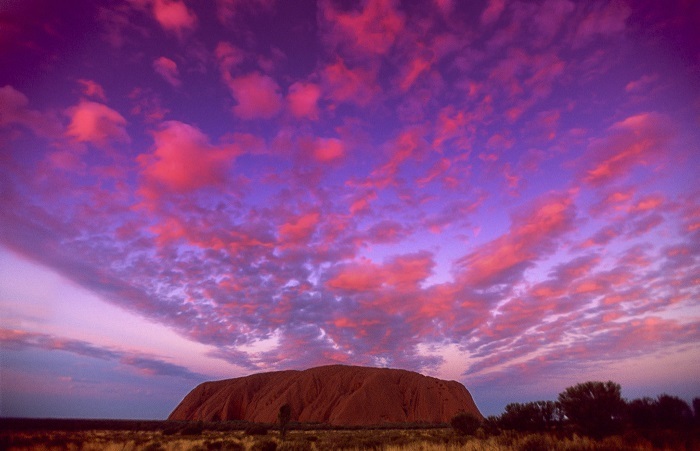 After lunch, you can walk around the base of Uluru before we watch the magical sunset behind the monolith. Then it’s onto our camp for the night where you can tuck into dinner and sleep beneath the stars. We rise early on day two to watch the sunrise over Uluru before discovering the unique domes of Kata Tjuta on our way through the Valley of the Winds. 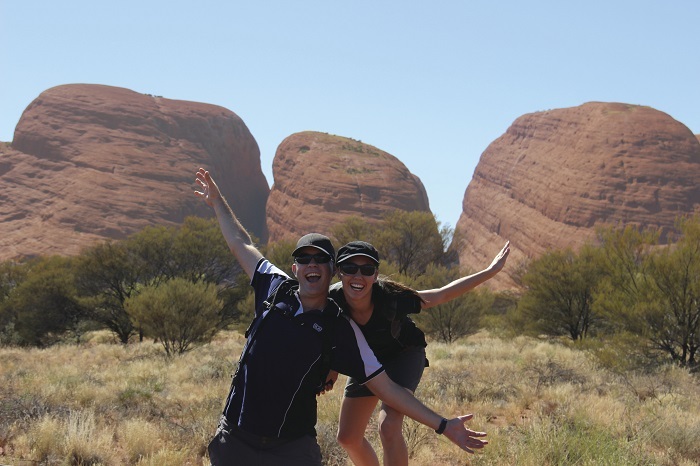 We’ll then make our way back to the base of Uluru where you can take an insightful walk with the guide before lunch. Once refueled, we’ll head to Kings Creek Station. We’ll camp here for the night after enjoying a traditional Aussie BBQ around a campfire. Day three starts with a hike around the top of the impressive Kings Canyon before we head back to the Kings Creek Station. Here, you’ll have the choice of taking a camel ride through the desert, or taking a helicopter or quad bike ride (at your own expense). We’ll then head to Curtin Springs Station where we’ll be staying in a private bush camp for the night. You can watch the incredible sunset over Mount Conner here before sleeping under the stars. The final day starts in a relaxed manner with a delicious cooked breakfast before we make a couple of photo stops on the way to the airport. This is where your magical four days unfortunately comes to an end. Please Note: Sleeping bags can be hired in advance of your tour date for an additional $20pp.